office | Exciting Adventures of an ex-Archaeologist, soon to be Teacher! Every office needs plants, so here are some photos of some of ours. 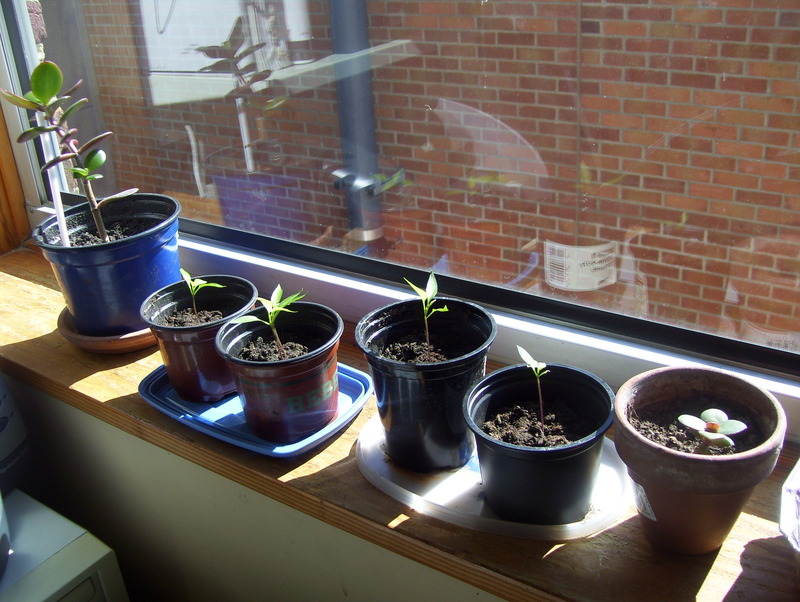 One day, the little guys in the middle will be huge big chilli plants we can eat! Its a south facing window so lots of light. Any ideas for cool and unusual plants we could have?